The Ohio State University placed second at the 16th annual North American Intercollegiate Dairy Challenge® (NAIDC) held March 30 – April 1 in Visalia, CA. There were 36 teams that participated in the national contest and 89 students that participated in the Dairy Challenge Academy. In total, 230 students from 25 states and three Canadian provinces, and from 37 colleges across the U.S. and Canada attended this educational event. These students are training for careers in the dairy industry as farmers, researchers, educators, financial analysts, nutritionists, farm service providers, and veterinarians. This year, nine contest teams competed on each of four farms. Each contest team received information about their assigned dairy farm, including production and farm management data. After an in-person inspection of the dairy, students interviewed the herd owners. Each team developed a farm analysis and recommendations for nutrition, reproduction, milking procedures, animal health, housing and financial management. Ohio State’s team consisted of Brittany Webb (Milford, DE), Angie Evers (Coldwater, OH), Jacob Triplett (New Philadelphia, OH), and Greta Stridsberg (London, OH) (see photo provided below). Students from the top two teams at each farm received a plaque and a monetary award, and all Dairy Challenge contest participants received a lifetime membership to Dairy Shrine, compliments of Allflex USA and Lely North America. The Dairy Challenge Academy was developed in 2013 to expand this educational and networking event to more college students. Academy student-participants also analyzed and developed recommendations for one of two dairy farms; however, the Academy was organized in mixed-university teams with two advisors to help coach these students. Due to travel costs, there were no students from the OSU Columbus campus that participated in this year’s Dairy Challenge Academy; however, five students from the Agricultural Technical Institute participated that were assisted by Dr. Shaun Wellert. 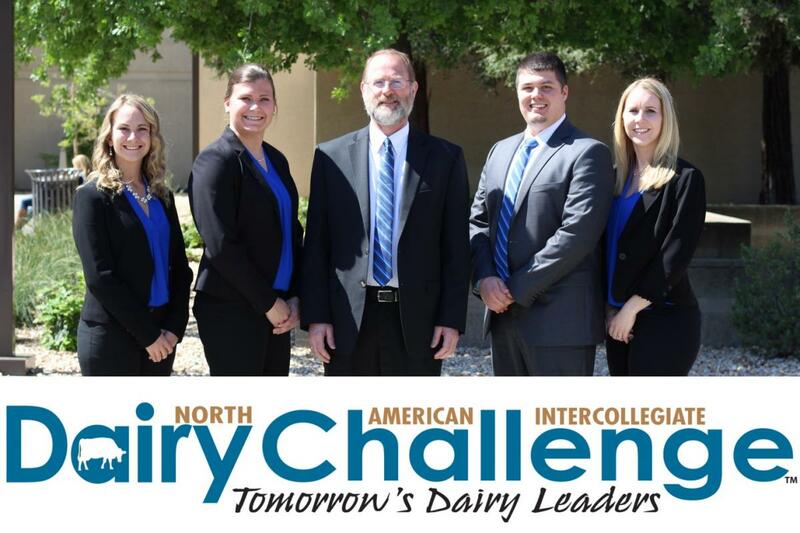 In its 16-year history, Dairy Challenge has helped train more than 5,000 students through the national contest, Dairy Challenge Academy, and four regional contests conducted annually. NAIDC is supported completely through generous donations by many agribusinesses and dairy producers, and programs are coordinated by a volunteer board of directors. The 2018 National Contest and Academy will be held April 12-14 and will again be held in Visalia, CA. For more information, visit www.dairychallenge.org or www.facebook.com/DairyChallenge.